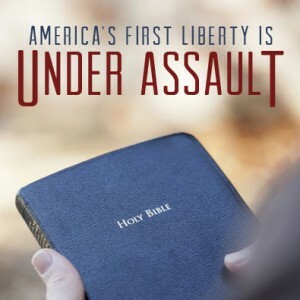 Washington, D.C. – Yesterday, the Supreme Court of the United States heard oral arguments in Town of Greece v. Galloway, a case challenging the practice of opening government meetings with prayer. The town of Greece, New York, has a policy allowing anyone who wishes to offer a prayer before their meetings to request to do so; they have even hosted a Bahai leader and a Wiccan Priestess. Despite the town’s highly inclusive prayer policy, the Court of Appeals for the Second Circuit departed from Supreme Court precedent and declared the prayer practice unconstitutional. “Today [November 6] the Supreme Court considered a vital question: under what circumstances may a legislative body begin its sessions with prayer? Our nation can trace the time-honored tradition of opening legislative sessions with prayer back to the First Continental Congress. However, today the Court was asked to make a radical, unwarranted departure from the Constitution. By asking the Court to uphold the Second Circuit’s opinion, the individuals challenging the town’s prayer practice asked the Court to dramatically expand the legal test for determining an unconstitutional prayer. The Court is expected to issue a decision in the spring. Congressman Forbes, along with Congressman Steve Scalise, led eighty-five Members of Congress in an amicus curiae brief in support of the town’s legislative prayer practice. Congressman Forbes is the Founder and Co-Chair of the Congressional Prayer Caucus, a bipartisan group of 100 Members of Congress who are committed to defending America’s heritage of religious freedom.